When taking a shower there's nothing worse that a clogged drain causing water to collect at your feet. I mean you wanted to take a shower, not a bath, right? There are some simple tricks besides pouring a gallon of Drain-O down the pipes to help get that clog unstuck. 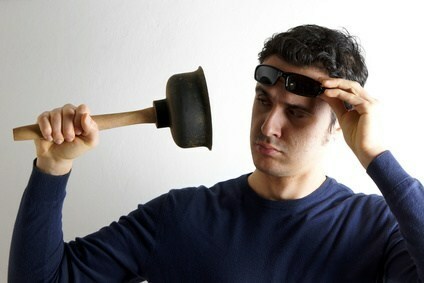 Use a plunger - Believe it or not these are handy for unclogging shower drains and toilets. Remove the shower drain cover then put them plunger over the hole while running water over it until the rubber part is submerged. Plunge it and see if that loosens the clog. Boiling water - This is a great natural way without using harsh chemicals. Carefully pour the hot water down the drain. You may want to use a mixture of 1/3 cup baking soda and 1/3 to see if that give better results. Snake out the clog - A snake can be purchased from any hardware store. Carefully snake it down the drain then wind it around to loosen the clog. The debris should clear once the snake is out. Use liquid drain cleaner - There are a lot of good products out there. Make sure they are safe to use in all pipes as as for residential use. Call a professional - When all else fails and the stubborn clog just won't budge give Kost Plumbing a call and we will have it fix in no time!